Is there a real ninth planet out there? Astronomers from the California Institute of Technology have claimed to find an evidence of a new giant planet that has a mass about 10 times that of Earth and can bring the tally of planets in our solar system back to nine. Their analysis of objects in the Kuiper Belt suggests that this planet nicknamed “Planet Nine” orbits about 20 times farther from the sun on average than does Neptune (which orbits the sun at an average distance of 2.8 billion miles). 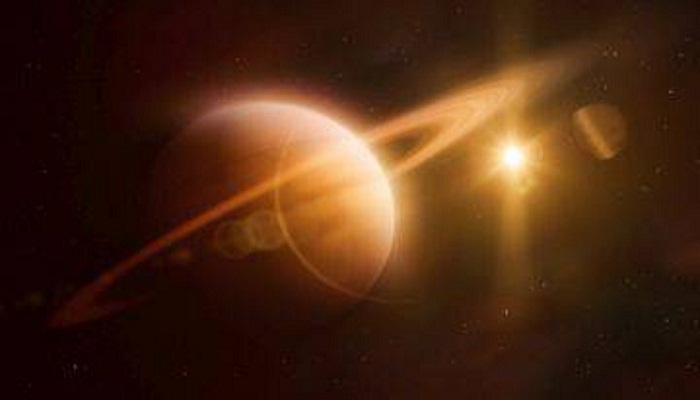 In fact, it would take this new planet between 10,000 and 20,000 years to make just one full orbit around the sun. “This would be a real ninth planet,” says Brown, the Richard and Barbara Rosenberg professor of planetary astronomy. “There have only been two true planets discovered since ancient times, and this would be a third. It's a pretty substantial chunk of our solar system that's still out there to be found, which is pretty exciting,” he added. Brown notes that the ninth planet - at 5,000 times the mass of Pluto - is sufficiently large that there should be no debate about whether it is a true planet. Unlike the class of smaller objects now known as dwarf planets, Planet Nine gravitationally dominates its neighbourhood of the solar system. In fact, it dominates a region larger than any of the other known planets--a fact that Brown says makes it "the most planet-y of the planets in the whole solar system." Batygin and Brown described their work in the Astronomical Journal and show how Planet Nine helps explain a number of mysterious features of the field of icy objects and debris beyond Neptune known as the Kuiper Belt. “Although we were initially quite skeptical that this planet could exist, as we continued to investigate its orbit and what it would mean for the outer solar system, we become increasingly convinced that it is out there," added Batygin, assistant professor of planetary science. “For the first time in over 150 years, there is solid evidence that the solar system's planetary census is incomplete,” he added. Planet Nine's existence helps explain more than just the alignment of the distant Kuiper Belt objects. Where did Planet Nine come from and how did it end up in the outer solar system? Scientists have long believed that the early solar system began with four planetary cores that went on to grab all of the gas around them, forming the four gas planets - Jupiter, Saturn, Uranus, and Neptune. “But there is no reason that there could not have been five cores, rather than four," said Brown. Planet Nine could represent that fifth core, and if it got too close to Jupiter or Saturn, it could have been ejected into its distant, eccentric orbit.